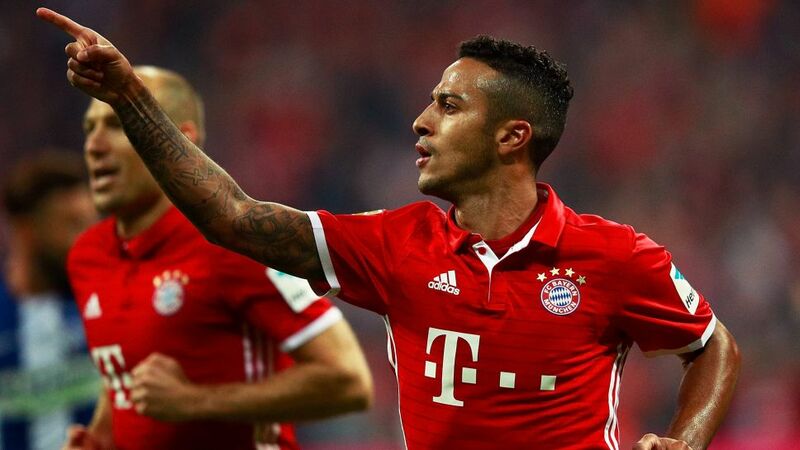 FC Bayern München made short work of beating Hertha Berlin on Wednesday to return to the top of the table, and key to their 3-0 victory was Spanish midfield maestro Thiago Alcantara. Considering Thiago Alcantara for your Official Fantasy Bundesliga side? Sign him up here! The elegant ball-player pulled the strings in midfield and set his team on the way to three points with the all-important second goal, a well-taken strike after he forced a defender into an error. Will you choose Thiago as the Matchday 4 MVP? The power is in your hands! Vote Thiago Alcantara for #BLMVP on our Twitter channel now! Thiago's goal was his first of the new Bundesliga season.The 25-year-old is in his fourth season in Bavaria but has played just 55 Bundesliga games due to injury.Thiago's father Mazinho was a FIFA World Cup winner with Brazil in 1994.The Spain international collected 15 Official Fantasy Bundesliga points.